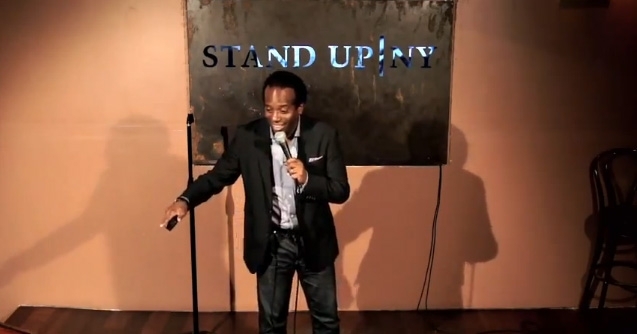 Last call to be in the audience for our shoot today at StandUpNY!! We’re getting down to the wire, a final countdown for our video shoot which starts at 5pm today. 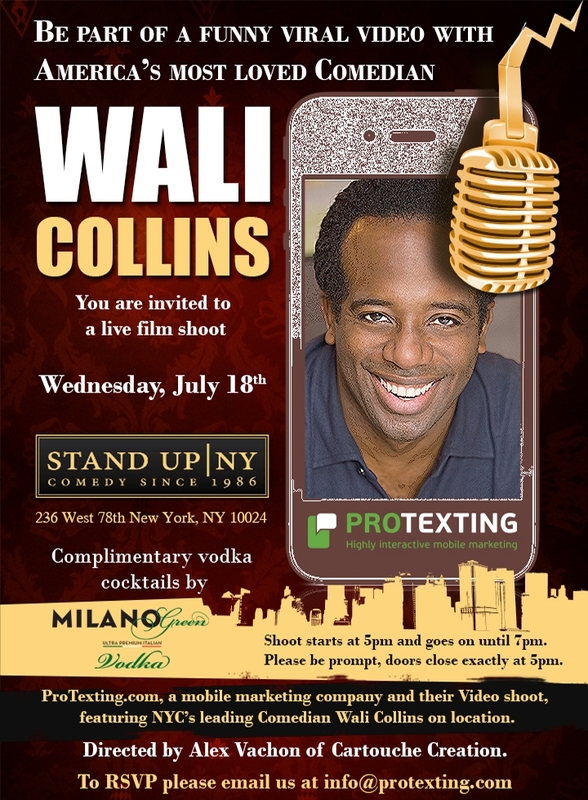 The video will feature NYC’s leading Comedian Wail Collins on location at the Stand Up NY Comedy Club 236 West 78th New York, NY 10024 (212-595-0850). The time for the shoot is from 5 to 7pm. The video is being directed by Alex Vachon of Cartouche Creations. If you can still attend please email info@protexting.com by 4pm. I look forward to seeing you tonight for this special comedy show! 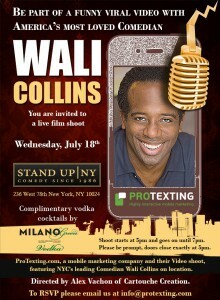 !You will have the opportunity to meet Wali Collins and many members of the ProTexting.com team!! –Kalin J.